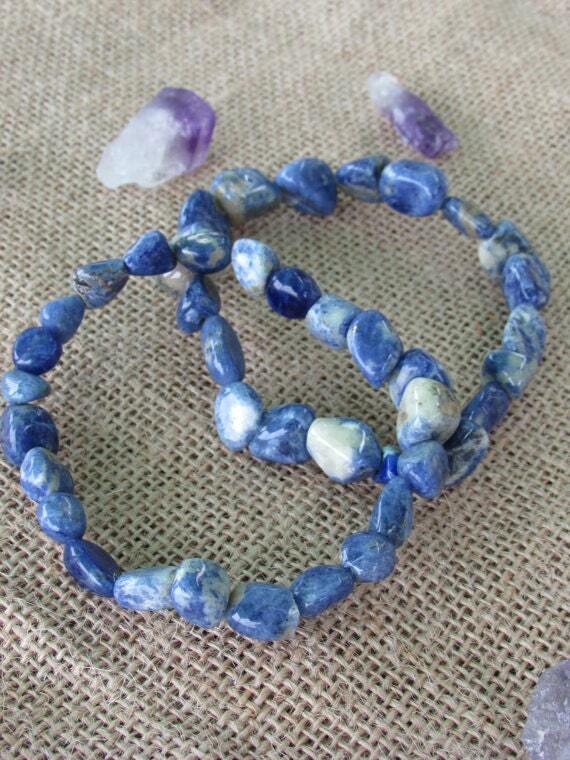 Receiving Blue Sodalite Healing Crystal Bracelet Jewelry. Due to the natural nature of the item, the stones and shapes may vary. 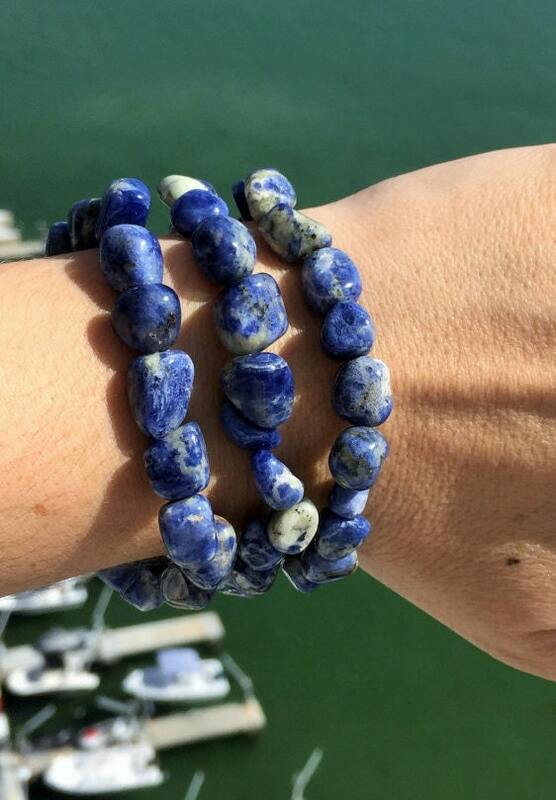 Sodalite is the stone of logic, intelligence, efficiency, communication and ends arguments. Useful for honesty of emotions and love. Great for balancing the throat chakra. This listing is for 1 (ONE) bracelet. Size- Due to its elasticity, will fit all wrist sizes 6 - 8 inches. 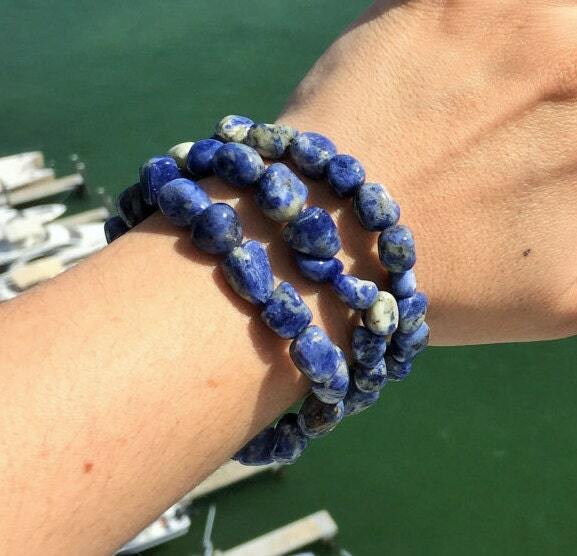 The sodalite stones are beautiful and the bracelet fits nicely. Thank you! These bracelets are beautiful. The colors of the crystals/stones are vivid and the meaning behind the energy of the crystals/stones make them very special to me.